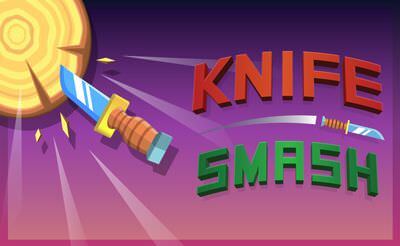 In Knife Smash we have to throw knives. Luckily not in a circus with living objects rather we will hit the on circling discs. The goal is to not hit other knives on the disc placed already or we placed there. We have to find free spots and hit them or hit the apples. With the apples we could safe our lives and continue the game if we missed.